Whenever you plan to start a new site or online business, why hosting to buy is among the first few questions that one think. Earlier also we have shared few hosting details and today I am going to share one more premium hosting company known for reliability and affordable price. Here are PowerUp Hosting review and PowerUp Hosting discount coupon code 2016 (added at the end). If you are looking for a good and reliable web hosting at the affordable price range, PowerUp hosting can be your solution. Here in this PowerUp hosting review, I am going to share the features of it and will also share PowerUp hosting discount coupon code so that you can save few bucks. PowerUp Hosting at a glance! 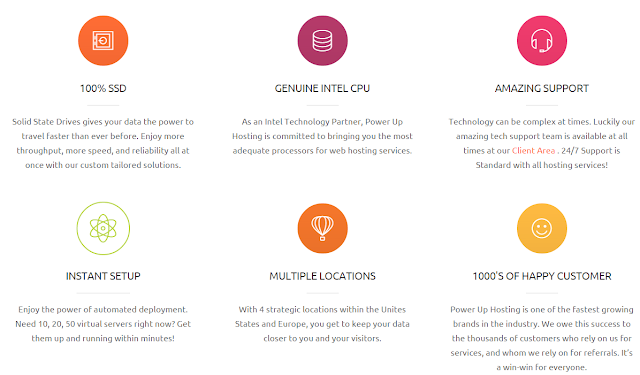 PowerUp hosting is a US based company having most of their servers in Las Angeles. It is a well-known name in hosting space in the US and provides premium quality with 99.9% uptime. Their main products include WordPress Hosting, VPS hosting, and dedicated servers. Apart from hosting packages, they also provide dedicated and shared proxies to fulfill all the need. So let’s start with the features, pricing and discount coupon code of PowerUp Hosting. There are a number of features of PowerUp hosting which makes them ahead of their competitors and enable them to provide the best service online. Below I am going to discuss some of the major features of PowerUp Hosting. PowerUp Hosting provides the WordPress hosting on a shared basis. They are the official cPanel NOC partner and so provide cPanel with excellent features. • Automated Unlimited Hosting- With their unlimited hosting, you can get up to 1GB RAM and 1CPU with 1million IOPS to host as many WordPress sites as possible. • Automated Backup- You can setup the backup of your site and can relax. They will do the rest and as per your defined interval, they will start taking backup. • Auto Update- You will not have to update anything manually. All have been automated and PowerUp Hosting will do this for you. If you have some decent traffic on your site and need some extra security, then you can consider by going through VPS as it provides an extra layer of security and customization. You will have full control over your hosting and servers. VPS is the combination of shared hosting and dedicated server and so if you have moderate traffic, go with it. 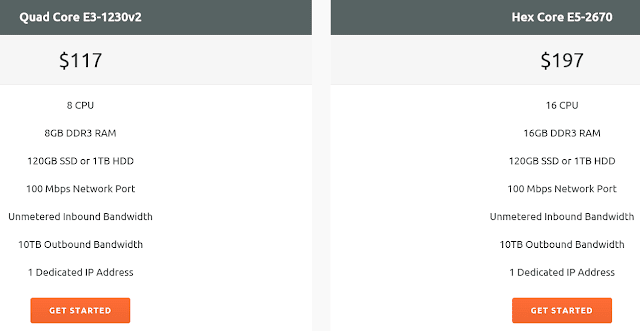 The pricing depends on the number of CPU you are going to use. For a single CPU, the price just starts at $15 per month which is very convenient. This Linux VPS is on SSD. Almost similar plan you can also find for PowerUp windows VPS hosting on SSD and HDD. Here are the additional features of VPS hosting by PowerUp. If you are dealing with some high traffic sites or business sites, you should think of dedicated servers as it gives maximum flexibility, top level security and as no one else will be sharing with you and so you won’t face any resource related issues. So depending on the CPU you need, the price varies. For 8 CPU, it cost around $117 while for 16 it is $197. In dedicated private proxies, you will have access to choose the location among US and Europe or even you can mix up both. High-quality speed, unlimited bandwidth, and IP authentication make it even more powerful. Why should you use PowerUp Hosting? There are multiple reasons as why you should switch to PowerUp hosting or can start with them. To name the few, we can they are the official cPanel Partner NOC, high-class technology, powerful SSD and much more. Before buying any hosting, you should check this option. The company which has data centers at multiple locations can serve you better in the case of emergency. For example, if due to some reason one will fail other will be there to backup. These data centers are equipped with all the latest and high-class technology, proper backups, and DDoS mitigation facilities. You can save up to 20% on all the PowerUp Hosting and proxies. Use the below PowerUp Hosting discount coupons and save up to 20% now. PowerUp Hosting is a premium VPS, cPanel and dedicated server provider which are very much affordable. Using these coupon codes, you can save 20% extra as well.